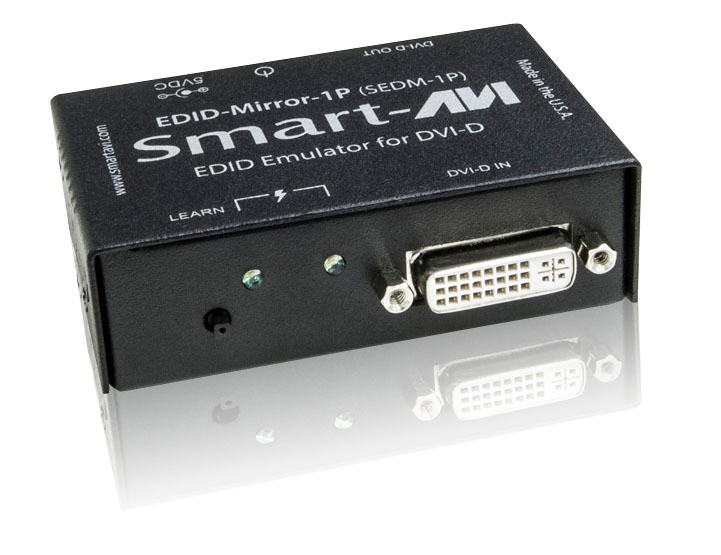 Create your ideal multi-screen video system with a video wall controller from SmartAVI! We offer a wide variety of video wall solutions, from simple four-screen plug-and-play hardware options to customized installations with dozens of screens controlled by integrated software.SmartAVI video wall solutions support HDMI, DisplayPort, DVI and VGA signals. No matter what you need out of your video wall and no matter how many screens you want, we can help you craft the ideal solution that matches your exact specifications. 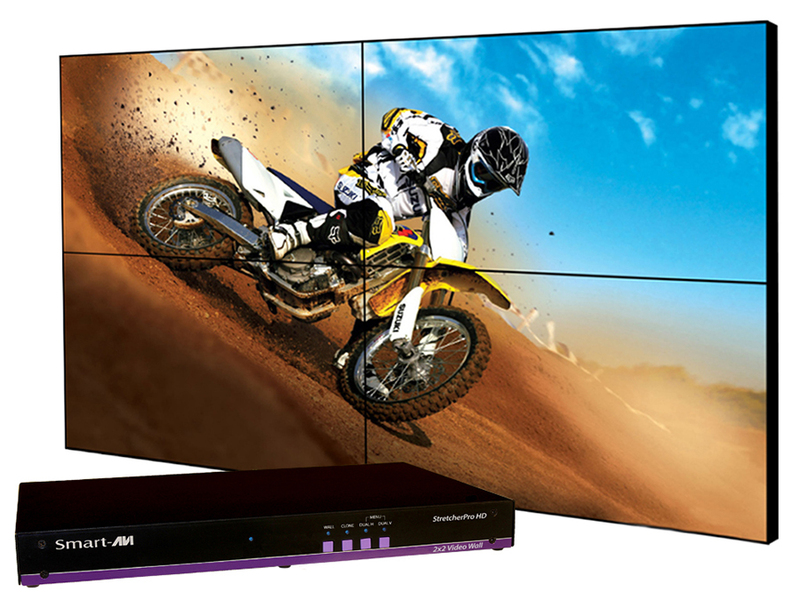 We offer the most aggressively-priced professional video wall hardware and software on the market. Contact us now to get started on your video wall! Multi-Format 2×2 (four output) 1080p HD Video Wall Processor: an easy multi-screen display solution ideal for any environment. 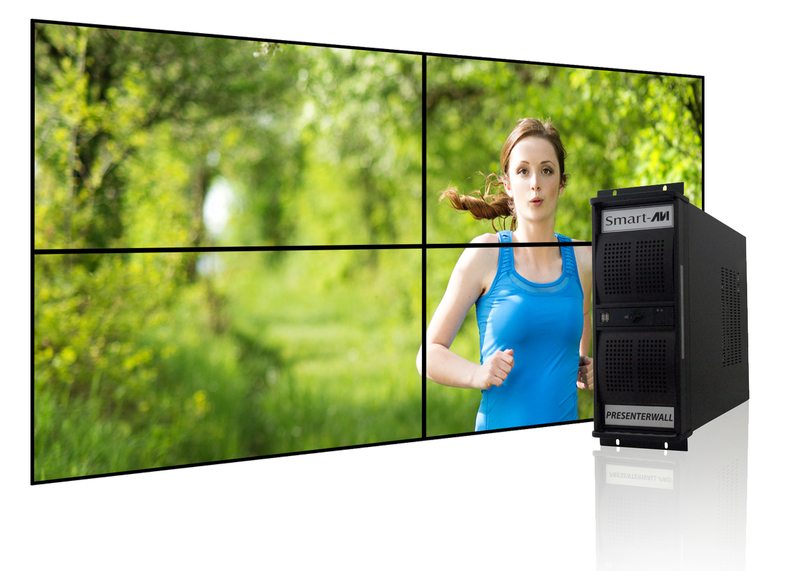 Multi-Format 3×3 (nine output) 1080p HD Video Wall Processor: an easy multi-screen display solution ideal for any environment. Multi-Format 4×4 (16 output) 1080p HD Video Wall Processor: an easy multi-screen display solution ideal for any environment. 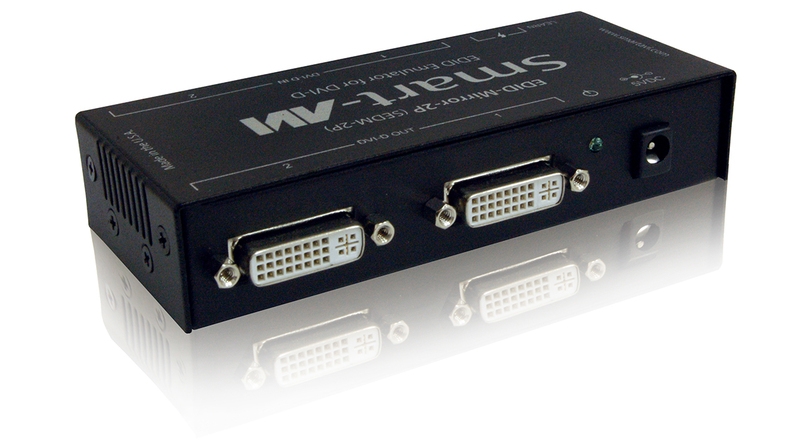 2×2 HDMI Video Wall Controller with 1080p resolution on each monitor, stretched to any aspect ratio: a perfect fit, no matter the size! 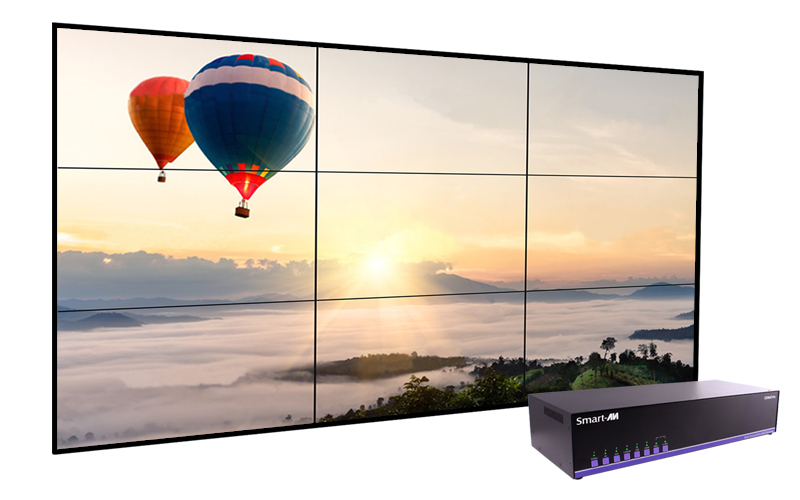 SmartAVI’s Advanced Video Wall line takes powerful video walls a step further with ultra-HD and large-scale configurations alike. 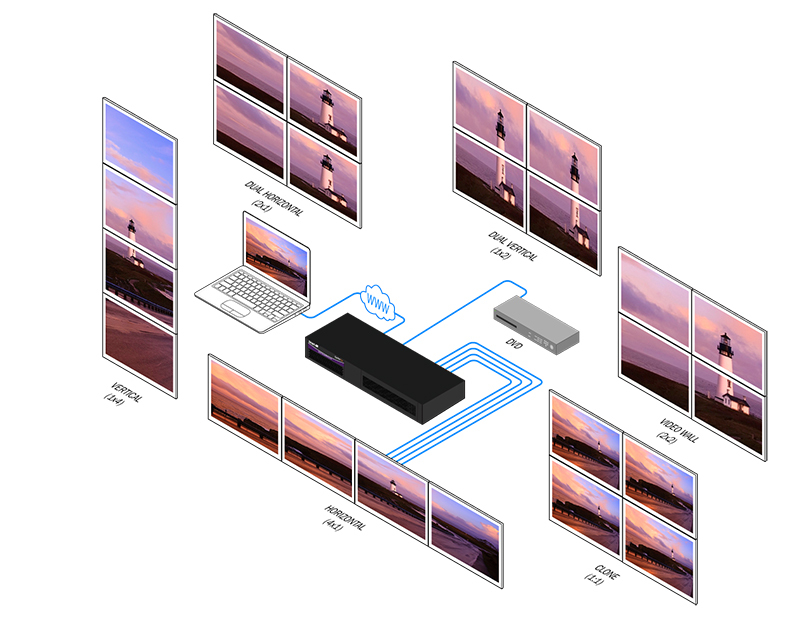 Easily display high resolution videos in any configuration on high definition screens using multiple inputs and outputs—a driverless, hardware-only solution that requires no expertise. Simply plug and play! – Configurations starting at 4 inputs and 4 outputs up to 32 inputs and 32 outputs are available. Contact us to learn more. 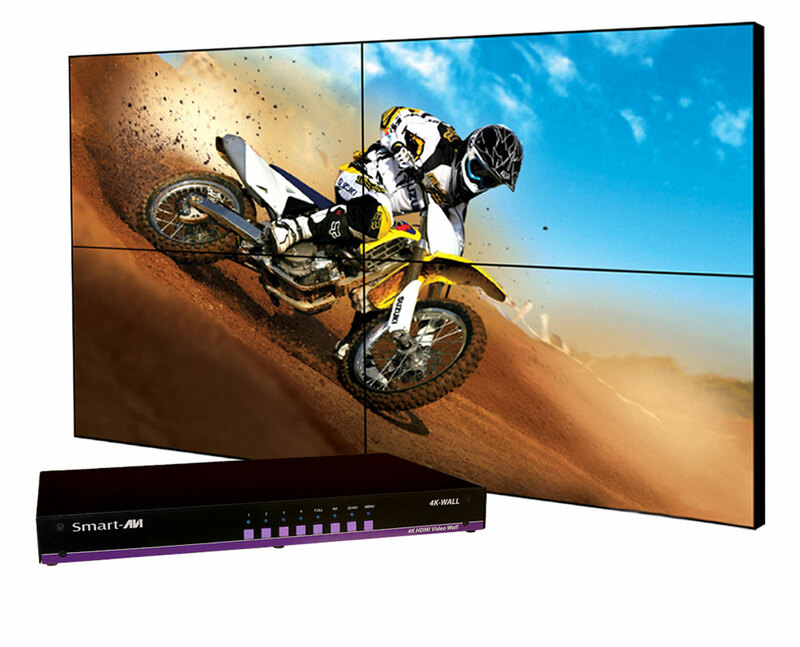 4×4 HDMI Matrix for video walls: an ultra-HD ready video wall controller and matrix solution with On Screen Display, no software required. 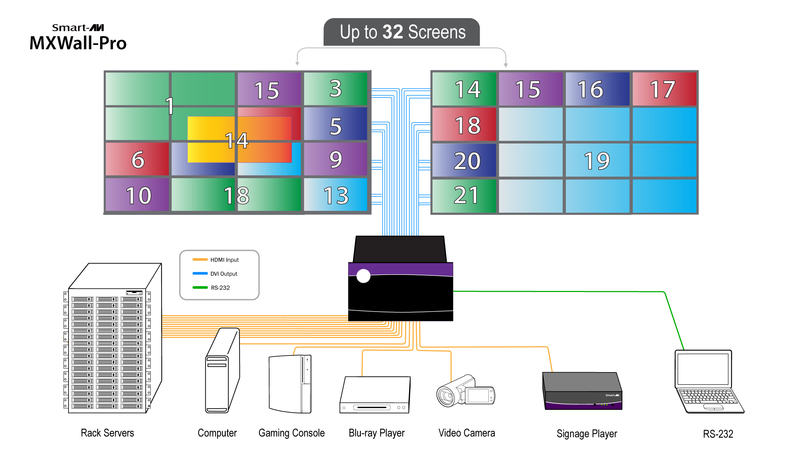 SmartAVI’s Premium Video Wall line offers integrated software to help you program, manage, and schedule content across high-resolution screens in any arrangement. 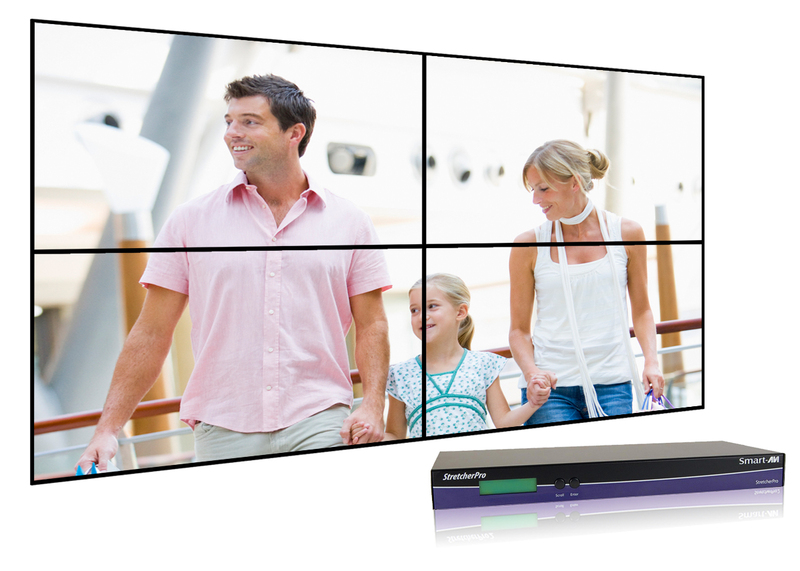 Spread your displays creatively over display configurations as extensive as 32 screens. Combine media from a player, your computer, or the web for a customized experience: robust display solutions for any environment! 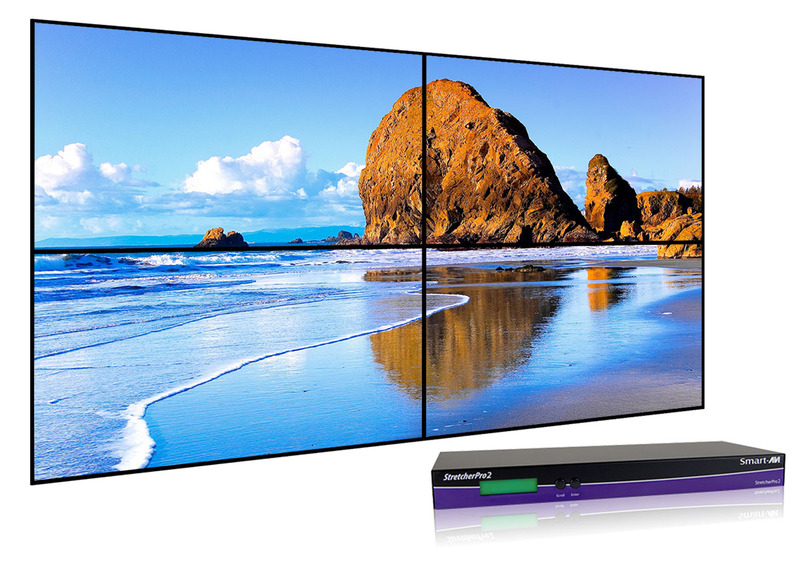 The Complete, Affordable and Expandable HD Video Wall System. Software included and no recurring fees. Cohesive 1080p 32×32 HDMI video wall and digital signage matrix solution: route 32 HD video sources to 32 displays with integrated scaler, storage, and creative picture modes. Built with integrated software that helps you program, manage, and schedule content scalable across dozens of screens without loss of resolution, the Elite Video Wall solutions offer top-of-the-line results for all of your display needs. Combine media from multiple sources for unlimited customization potential, and enthrall onlookers with powerful, creative configurations! 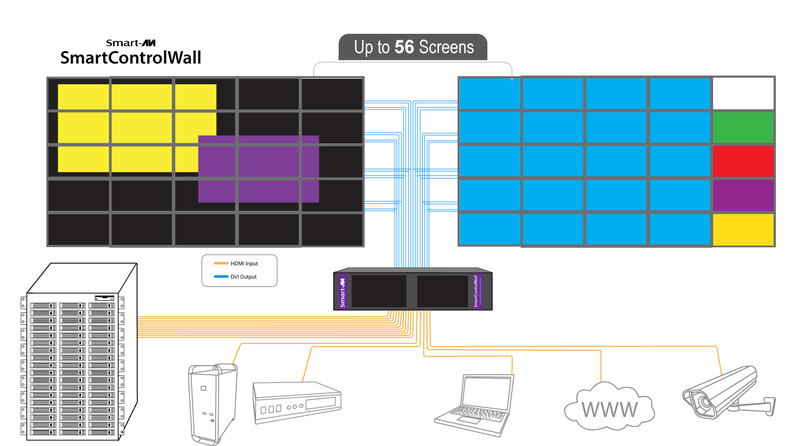 Real-time video wall processor with integrated layout control software (configurations up to 56×56). Ideal for command and control applications. 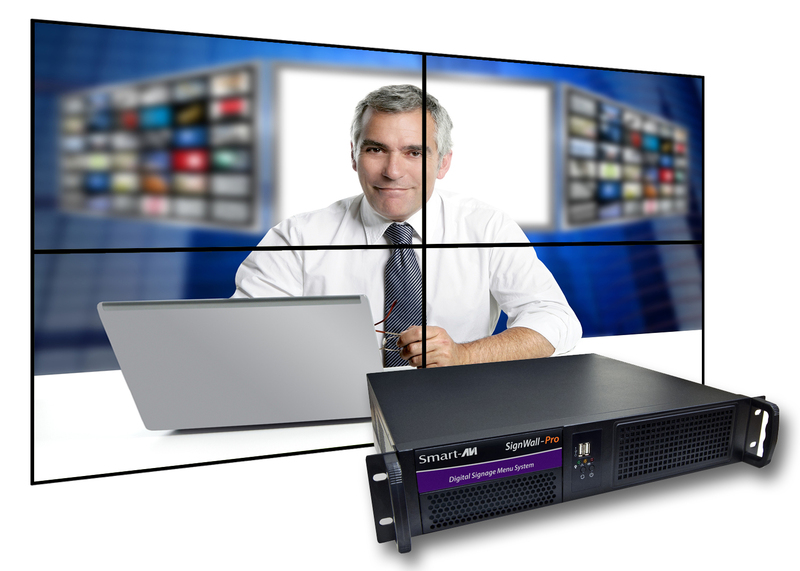 Whether you have four or 12 video screens to use with PresenterWall, set up is made easy with SmartAVI™’s point and-click software. Whether you have four or 16 video screens to use with PresenterWall, set up is made easy with SmartAVI’s point-and-click software. 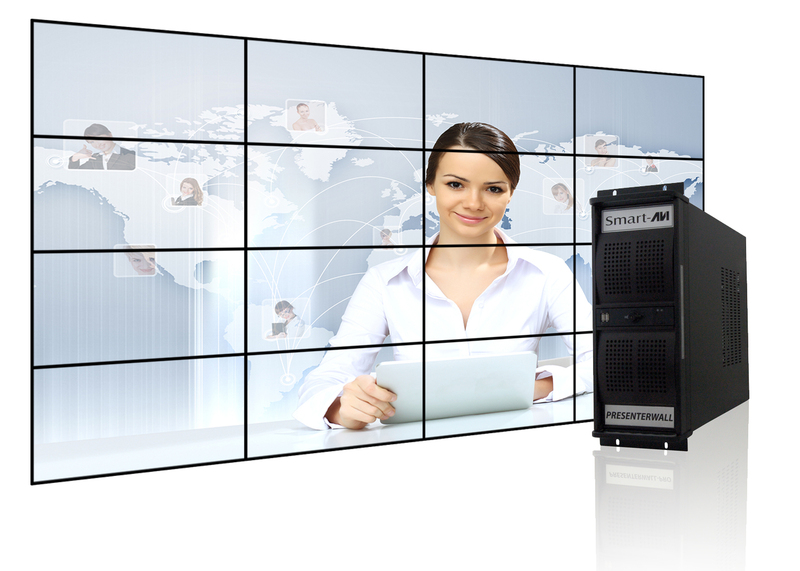 Display stunning and scheduled video wall content through video wall manager software. Video wall manager software by SmartAVI enable users to display various media formats to a group of screens working together to communicate targeted messages. The manager software is a sophisticated yet user-friendly tool to control the processor from a remote computer. It can create and save contents in real-time, making it the ideal for changing presentations instantly. 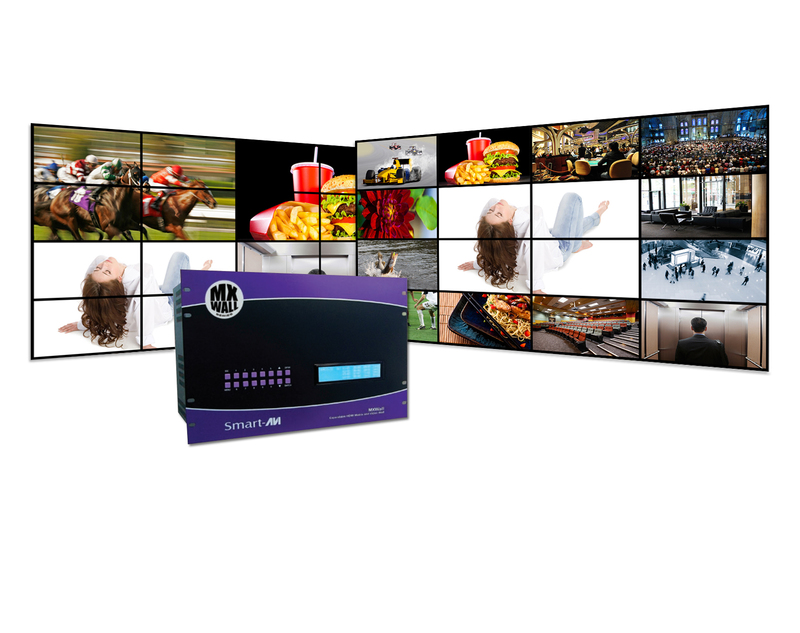 Stream enthralling HD content to your digital signage and video walls with SmartAVI’s SaviStreamer products. 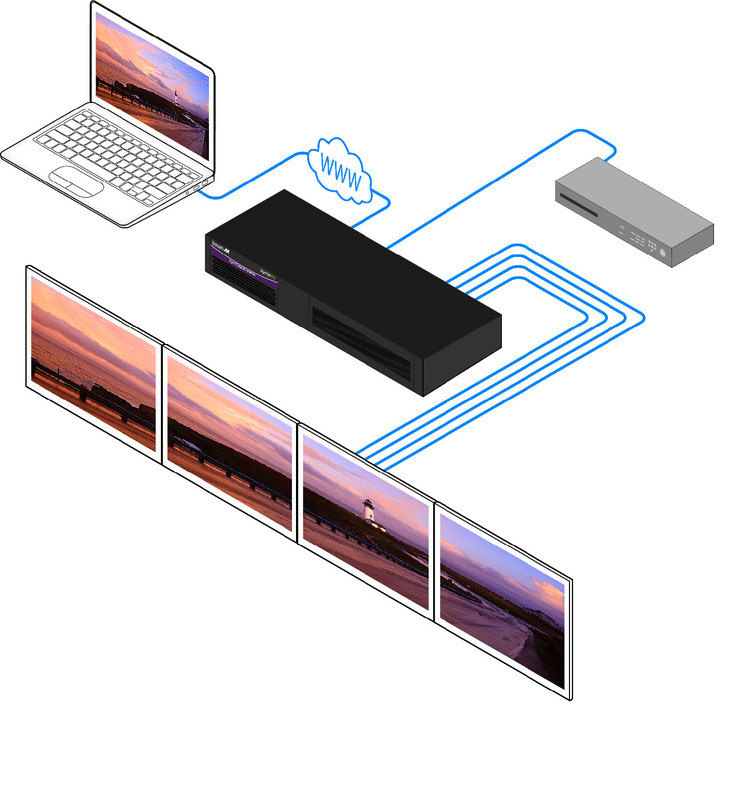 Our plug-and-play encoding hardware and easy-to-use SaviStreamer Manager software enhance your displays with crystal clear 1080p H.264 video. 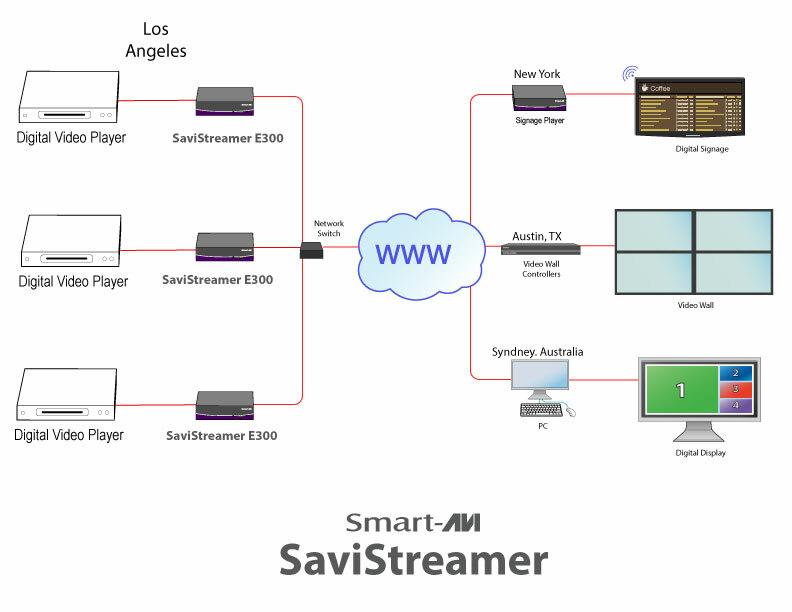 Perfect for integrating live content, sports, news, RSS, TV, movies, and more into your devices, SaviStreamer streaming solutions are an ideal choice for optimizing your system! 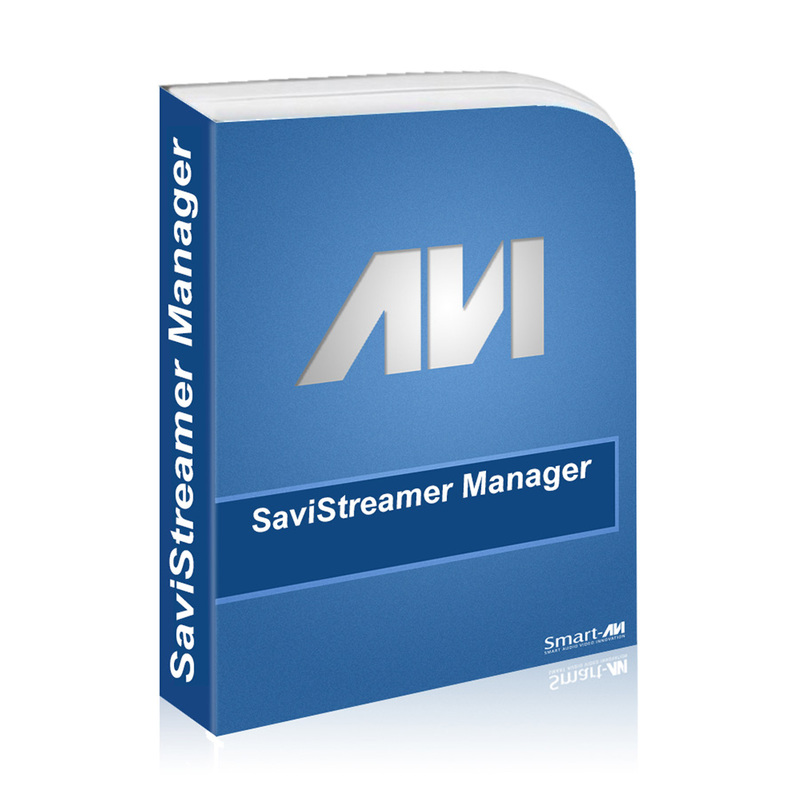 SaviStreamer AV-over-IP HD Streaming Management Software. Enhance your SmartAVI video wall equipment and set-ups with our excellent line of Video Wall Accessories. 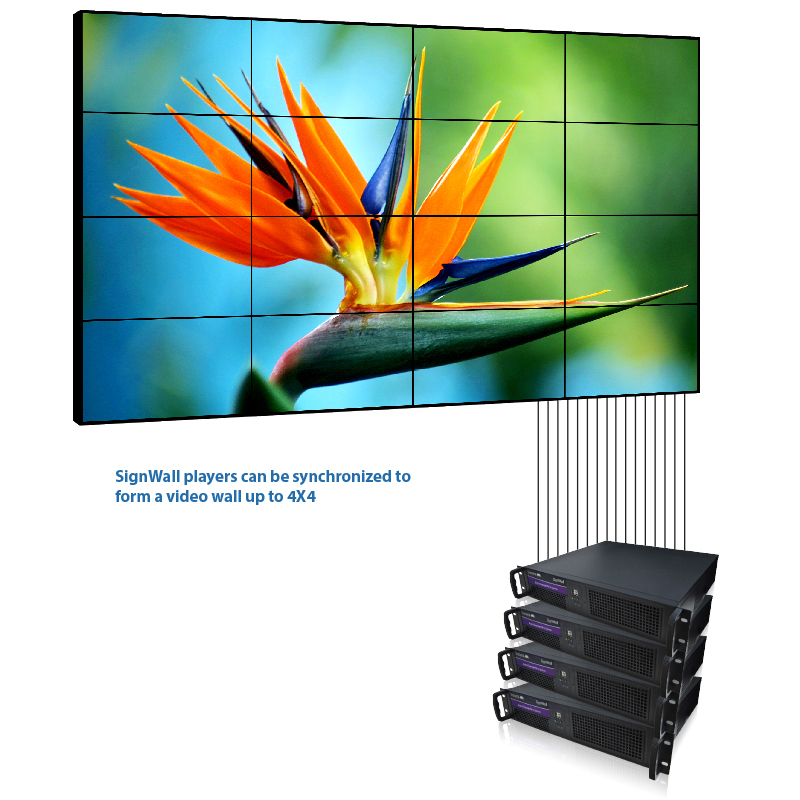 The products improve the performance and quality of your video walls with plug-and-play hardware: they are easy to use and great additions to any video wall system. 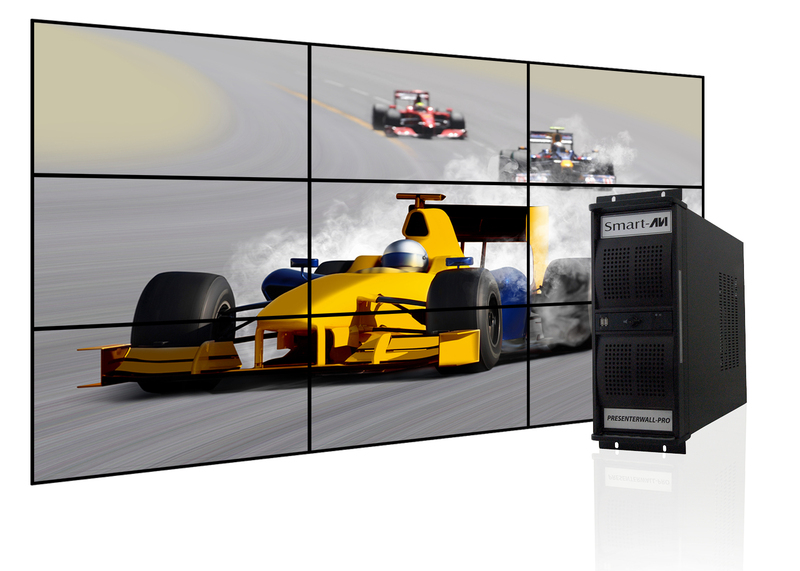 Simple yet excellent SmartAVI video wall configurations perfect for any environment. These easy to set-up wall displays are the perfect fit for retail, restaurant, airport, classroom, and corporate video presentation spaces, and are easy to setup and use. 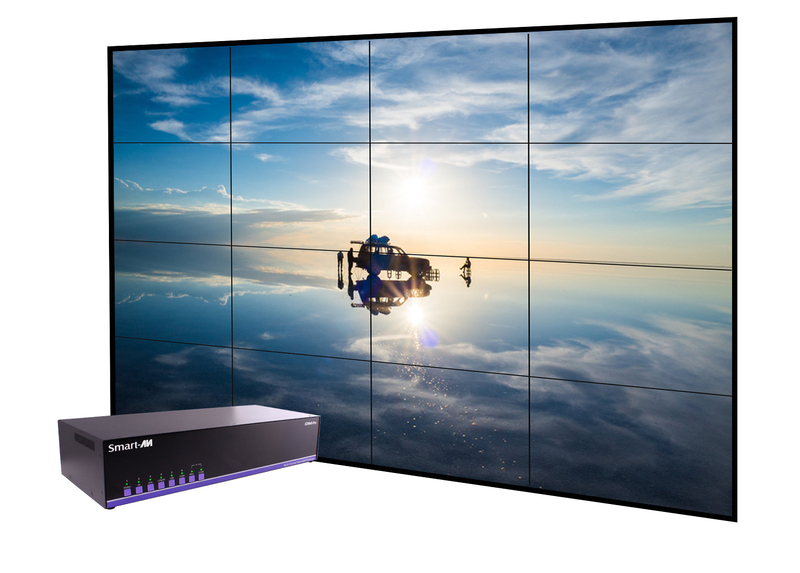 Great solutions for all your video wall needs! 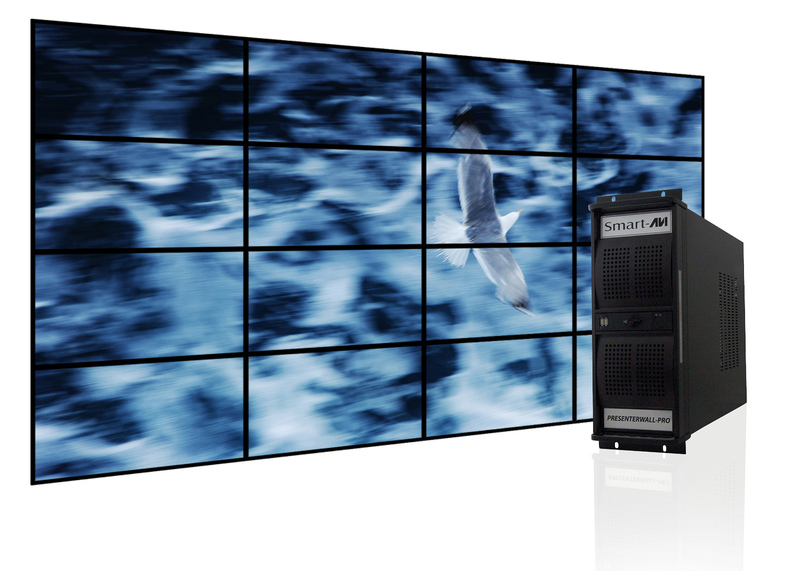 SmartAVI’s video wall system displays high definition content with an easy to use setup. Create a dynamic presentation to visually enhance any area by using video wall displays. 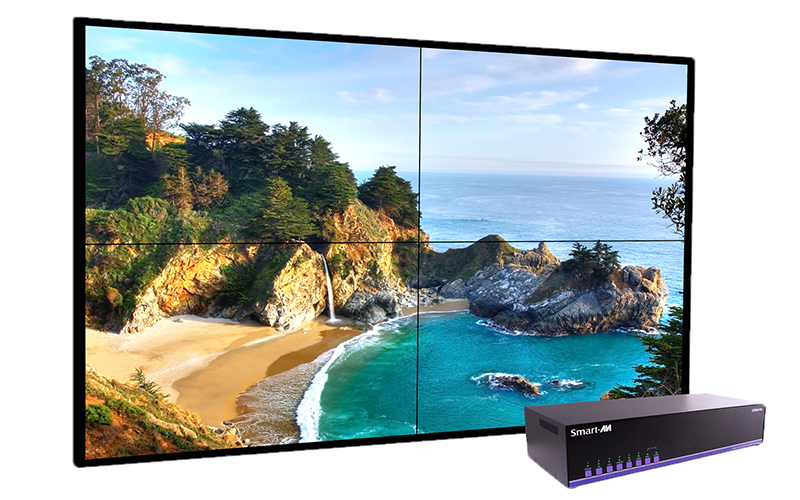 Video wall processors by SmartAVI provide users with the ability to place numerous images or a single high-resolution image across a video wall configuration. It is an effective attention grabbing tool for communicating valuable advertising messages to an audience. 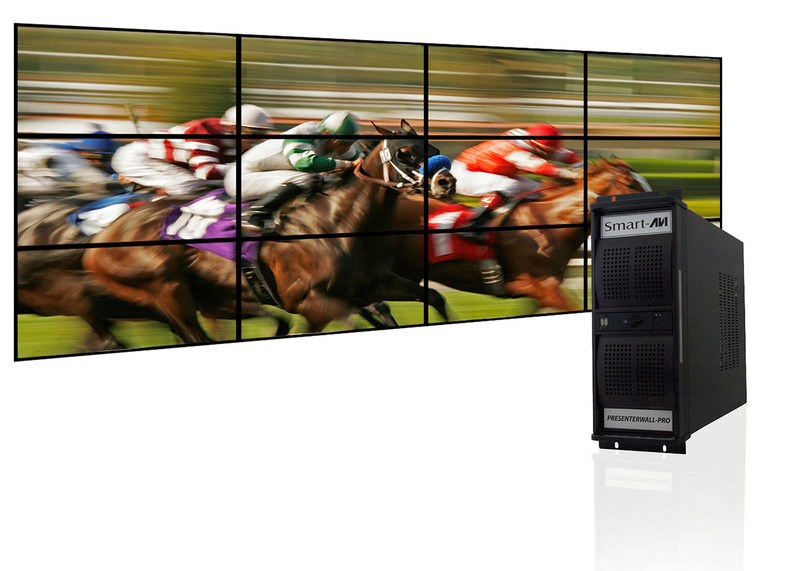 SmartAVI video wall processors were designed with the common user in mind to implement amazing presentations without advanced training. 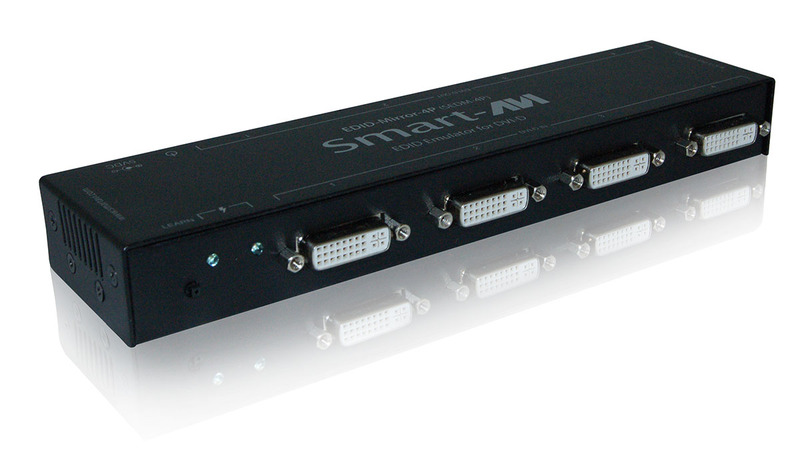 Enhance your video wall presentation by using SmartAVI video wall accessories.